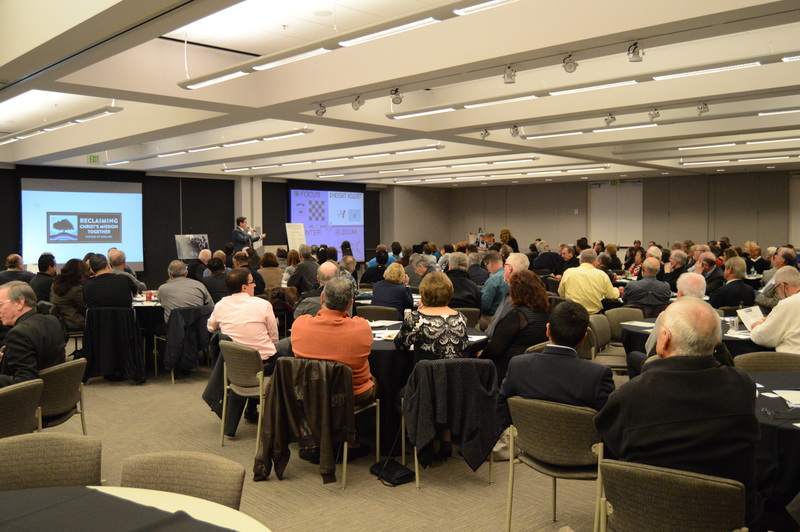 Last Thursday, January 22, we had a Kick-Off meeting for Block 2 of our Capital Campaign. I met first with the pastors of 40 parishes . . . then met with representatives and campaign leaders from all their parishes. I was completely overwhelmed by the huge turnout. We had to open the walls of the Cathedral event center to keep adding tables and chairs. The priests and lay leaders were very supportive of Christ, His Church, our diocese, and our campaign. We had a lively Question & Answer session in both meetings. I want transparency and honesty to be the hallmarks of our campaign, and our whole diocesan administration. I found our priests and people alive with faith, and strong hope that we can — together — carry on Christ’s mission. I felt the Holy Spirit with us that evening . . . because the campaign is not primarily about money, but about our Faith. It is a spiritual mission we have been given. As I mentioned in my address at my consecration as bishop in 2013, if we do God’s work, He will provide what we need to do it. My sincere thanks to the priests and lay leaders who turned out last week, and who are working diligently to support us. 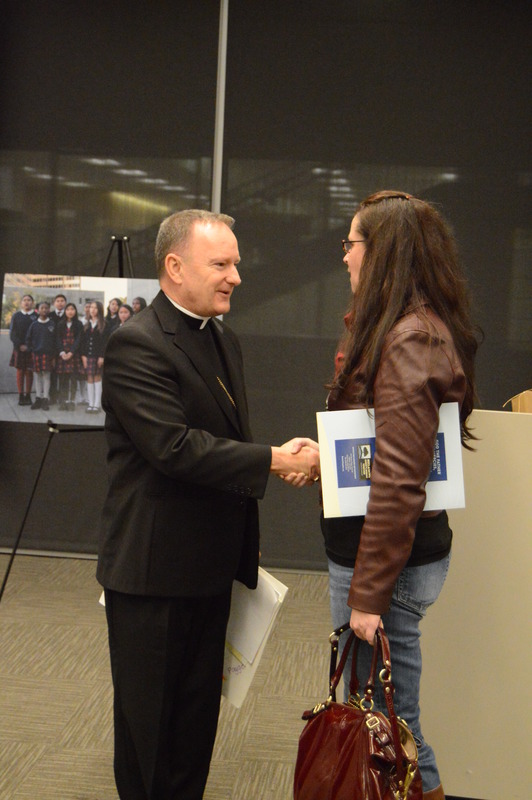 I am looking forward to my next round of parish reception visits in the months ahead. 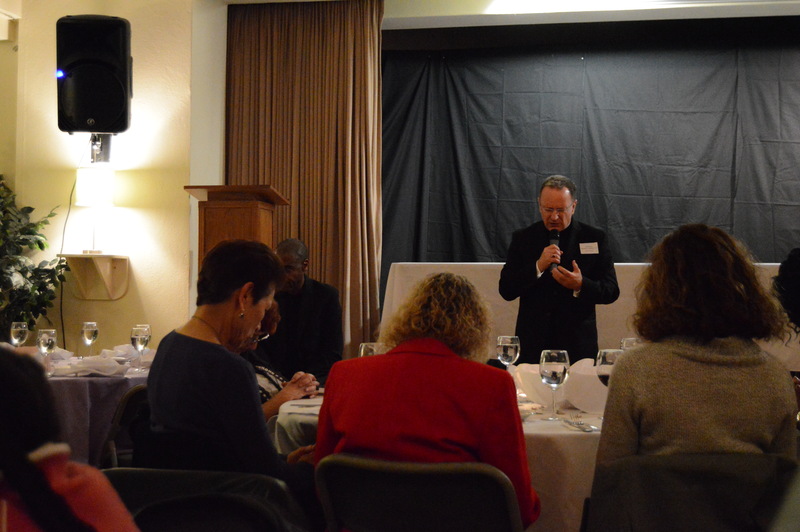 On Friday I was invited to pastor Walter Hoye’s fundraising dinner for his pro-life ministry, Issues4Life. Rev. 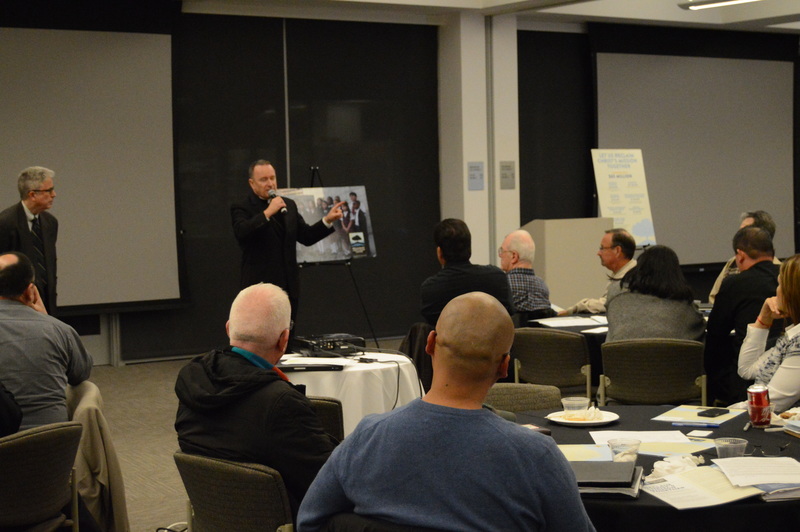 Hoye is well known to Bay Area Christians, as he has been one of the strongest Protestant leaders in support of life. Our St. Margaret Mary parish hosted the banquet in their hall, and many of our fine young people acted as waiters. This dinner was important as it was truly ecumenical, and had a very large attendance from the African- American Baptist churches in Oakland. United to defend the defenseless, we are truly united in loving and serving Christ. I have never felt closer to our Protestant Christian brethren. I like that our fellowship took place during the Week of Prayer for Christian Unity. The next day, Saturday January 24, I attended the annual Mass for Life at St. Mary’s Cathedral in San Francisco. This year, the papal nuncio, Archbishop Carlo Maria Viganó came from Washington, DC to join us. We had another fantastic turnout for Mass. I was so proud to see a large group from St. Edward’s parish in Newark — with their noticeable yellow t-shirts. 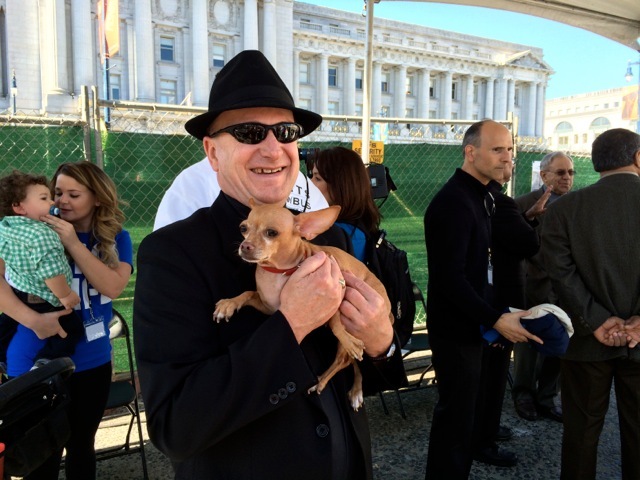 After Mass I walked down to the SFO Civic Center for the Rally. What most impressed me were the quality of the speakers: women who spoke of the effect of having an abortion; another young woman who took the RU486 pill to try to end her pregnancy, then changed her mind and discovered doctors had found a new medicine to reverse the abortion pill. She held up her curly-haired year-old baby boy in thanksgiving to God for the gift of life. I was impressed by the age of the group. KCBS put the attendance at 50,000 marchers. CNN said “many thousands”. The group was primarily YOUNG PEOPLE. The future belongs to the young. And the young believe in life. Thanks be to God. 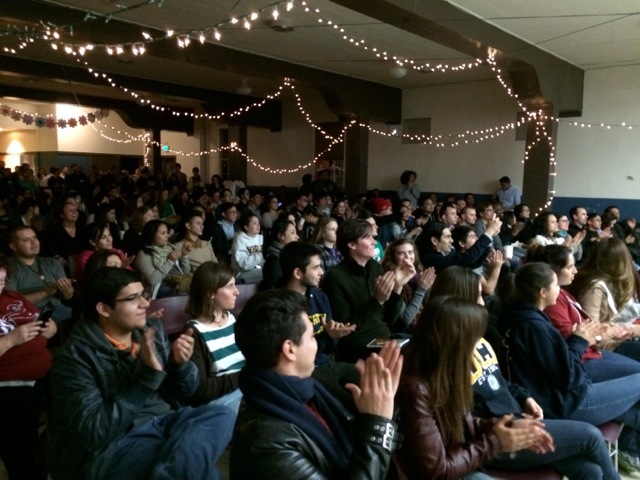 Later, after the Walk for Life, I attended a “Catholic Underground” event at St. Mary Magdalene Church in Berkeley. This was awesome. Over 200 young people, mainly of college age, met for holy hour, exposition of the Blessed Sacrament, confession, and entertainment. I spoke to the youth in the hall, noticing that through receiving confession, we come closer in friendship from Jesus. It is there we receive his most intimate love. The entertainment was a great party. We had a quartet of musicians from Cal called “I Celli”. They were so good I invited them to perform during a Solemn Mass at our cathedral. We also had Christian Rappers performing: especially Brother Victor from the Capuchin House of Studies in Berkeley. It was such a blessed evening! Last but not least: a few weeks ago I visited Fr. Ken Nobrega for a tour of St. Joseph’s parish in Berkeley. As we were inspecting the outside of the church, a man drove up and went into the church to pray. Father introduced him to me. 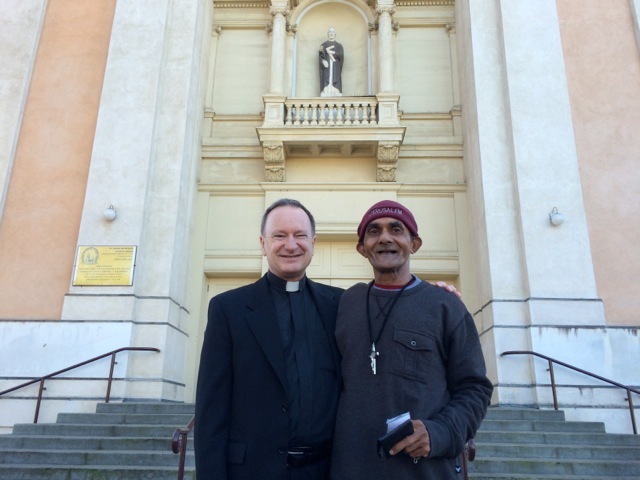 Jay is from Sri Lanka, and visits the church at least 12 times each day to pray. He told me the story of his life, and how blessed he is to be a Catholic. He is a pizza delivery man, and every time he passes by the parish church, he stops in to pray. He promised to remember all of us, and our intentions. Meeting him made my day. May I ask all of you to pray for our diocese, that we may be faithful to carry out God’s will, and He will give us the means to do it. Thanks! Thanks to Fr. Alex Castillo and to The Catholic Voice for these photos.